Young Te Horo-based Zach Shearman is a committed basketball player who sets himself big goals. 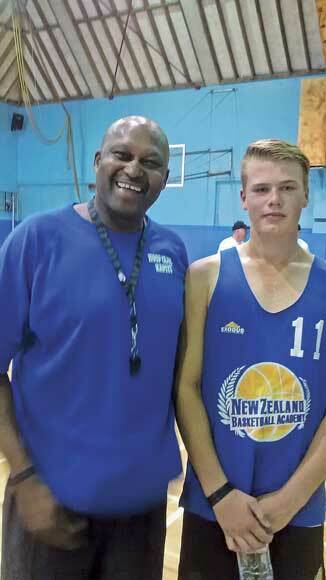 With a combination of determination, dedication and hard work he has been selected for the New Zealand Basketball Academy’s 2015 New Zealand Basketball Age Group Team ( 14 & Under Boys) which heads to Las Vegas in July to compete in a major basketball tournament. This is the second time Zach has been selected – he was also a member of the 2014 team. Zach had worked hard on basketball drills and skills as well as personal and basketball specific fitness following the end of the 2014 basketball season, with a focus on again being selected for the NZBA 14 and Under Boys Las Vegas Team. He also attended “gruelling camps and trails” as part of the selection process. Zach is a member of Hoop Club Kapiti and the Kapiti Basketball Association (he was a member of the 2014 Kapiti Basketball U15 Boys Rep Team) and also spent time last year coaching the Raumati South Primary School Year 8 basketball team. He has attended every New Zealand Basketball Academy Camp held during his two years, and plans to trial for the 2015 Kapiti College Senior Boys Basketball Team. A gruelling list of training is ahead for Zach this year, including weekly College senior boys training and KBA U17 Boys Rep Trainings twice a week. He will also attend weekly NZBA training and camps (specific skills and development training). Locally-grown, garden-fresh produce, jewellery, handcrafts and home-baking at Te Horo’s community market on Sunday, 7 March, 10.00am – 12.30pm, wet or fine at Te Horo Hall. 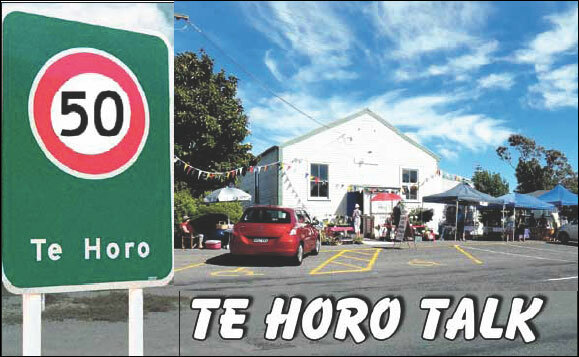 Te Horo’s craft circle meets monthly at Te Horo Hall – Wednesday, 11 March, 10.00am onwards. No membership needed – just call in with your craft item and work and chat with other local crafters. Every Tuesday, 9.15am – 10.15am at Te Horo Hall features Swiss Ball fitness classes with Carola, an experienced teacher. Contact 021 060 6094 for details. Bring a plate of finger food plus something to quench your thirst to the monthly community get-together at Te Horo Hall, Friday, 6 March, 5.30pm.